It’s time to take a peek at how the reality stars spent their weekend! 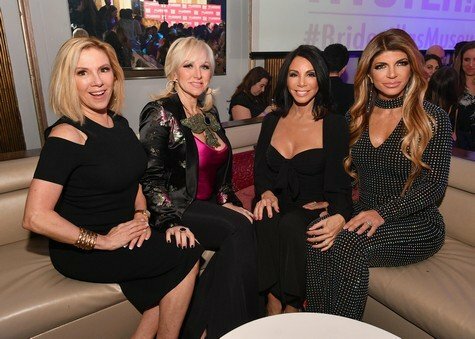 The Real Housewives of New Jersey and New York stars Margaret Josephs, Danielle Staub, Ramona Singer, Sonja Morgan, Kelly Bensimon and Teresa Giudice attended an event for WeTV: Bridezillas Museum Of Natural Hysteria, along with some of the Bachelor/Bachelorette women! Porsha Williams and her family, along with Real Housewives of Atlanta co-star Shamea Morton, celebrated the 2018 Hosea’s Heroes Awards Brunch in Atlanta. The event celebrated champions, community partners and key figures in Atlanta for their efforts in working towards an end to poverty, hunger and homelessness in the City of Atlanta. Janice Dickinson and Gretchen Rossi attended the Women’s Power Brunch at EnVy Lounge in Newport Beach. Sporting blonde hair (before dying it pink later that night) Kim Kardashian spoke onstage at the Create & Cultivate Los Angeles conference in L.A. Check out these and more photos in our gallery below! Don’t Be Tardy star Kim Zolciak and her daughter Brielle Biermann were spotted out last night, along with Porsha Williams and Dr. Jackie Walters, for the Jeffrey Fashion Cares event in Atlanta. Real Housewives of New York star Ramona Singer got her party on at the VH1 Save The Music event in the Hamptons over the weekend. Scott Disick looked bored or annoyed as eff at an event in Illinois at the Sugar Factory. Meanwhile, Kim Kardashian and Kendall Jenner checked out the “Famous” private art exhibit of Kanye’s. Check out the pics below. What do you think of Kim Z’s outfit? What about Kim K’s blonde hair? 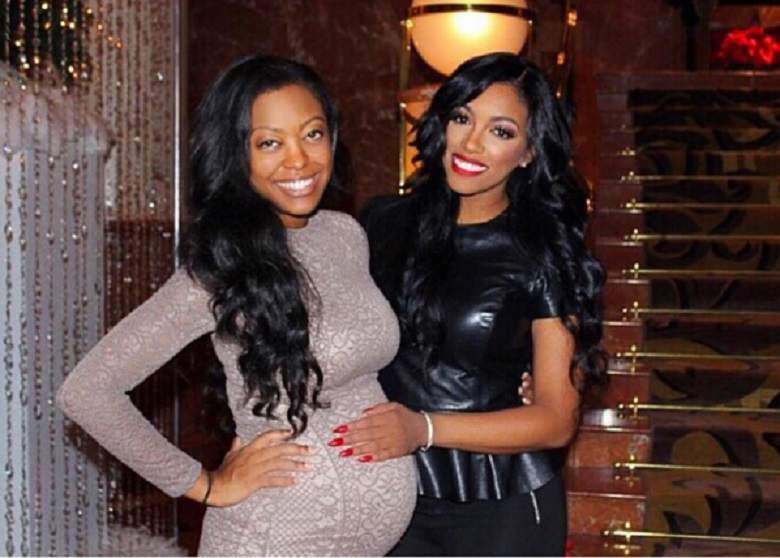 The love shared by Real Housewives of Atlanta’s sisters Lauren Williams (pictured left) and Porsha Williams (pictured right) is real and not even a heated argument regarding a touchy subject could separate them. Well on last night’s RHOA, the women duked it our verbally because Porsha felt her sister was shirking her ‘ride or die’ executive assistant responsibilities due to her pregnancy. The conversation got heated with Porsha condescendingly reminding Lauren of her duties, punctuating her role as her helper, and admitting she was not concerned with what her younger sibling had cooking in her “stomach.” Even though the ladies hugged it out eventually, Lauren, felt compelled to take to Instagram to defend her sibling’s rather callous actions on the show.